The conference will be held at the Activity Center in National Yang Ming University (NYMU), which is a research university famous for her genome research and brain research. NYMU is close to the Shipai station on the red line (Danshui Line) of Municipal Rapid Transit (MRT). NYMU is within an 8-minute walking distance to the Shipai station. Alternatively, there are many bus lines, which stop at either the Shipai or NYMU stops, which are within a 5-minute walking distance to NYMU campus. Therefore, it is easy to get access to the campus from different parts of Taipei city. 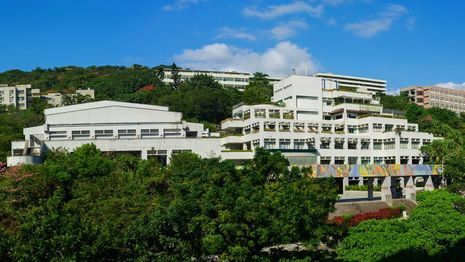 The campus is built along the hill. After entering the main entrance, you will see the newest building (P3 in the map of NYMU campus) on the right hand side of the road. The major road will turn to the right and slightly uphill. If you follow this road, you will see the conference venue, i.e. the activity center (B5) on the left hand side of the road. If you keep going up, you may reach the fields and tracks (Y12) or a hiking trail to the battleship rock. On the top of hill, you may oversee the great Taipei area. As we are located on a slope, a shuttle bus (no. 559) runs regularly between our school and Shipai MRT Station. For local transportation, you can take the Danshui Line of Taipei MRT or city buses (more than 10 routes) to and from our school. 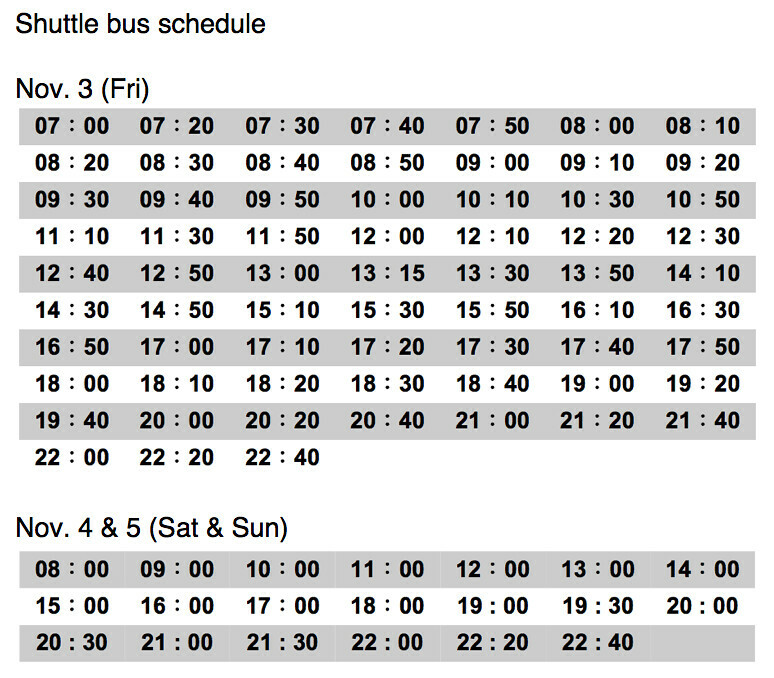 Shuttle bus: Every 10 minutes per shuttle bus in rush hour (from7:10-8:15, 9:30-10:00 and 17:00-18:00) and every 15-20 minutes per shuttle bus in normal hour. The closest stop to the venue is the main entrance of NYMU.